Our Press Page is your source for Chincoteague, Assateague and Wallops Island story ideas, events, images, videos and more. 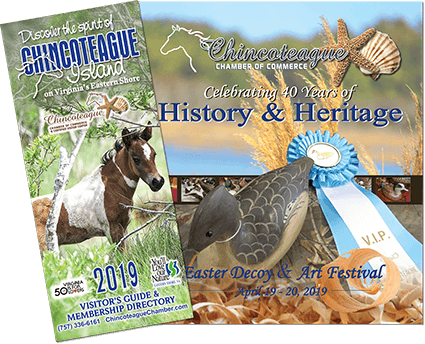 Please contact Evelyn Shotwell, Executive Director at eshotwell@chincoteaguechamber.com or 757-336-6161 for specific details, points of contact, or further assistance with any story or feature you are producing. We appreciate your interest in our area. Photo Requests - Please contact Evelyn Shotwell, Executive Director at eshotwell@chincoteaguechamber.com or 757-336-6161. When using photos and videos, please credit the Chincoteague Chamber of Commerce and www.chincoteaguechamber.com, the official tourism office and website of Chincoteague Island.